Thank you Purushottama for the perspective. Love. Beautiful….brings tears to my eyes…we are blessed in so may ways. I also applaud your take and expression and agree with you: The experiment to provoke god was a success. It was never about establishing a permanent foothold in America or anywhere else. It was about transforming enough of us to change the suicidal arc of human kind – in the world. I feel compelled to add: The inhumane crimes that were committed by Sheela against the homeless and the 700+ innocent people poisoned and many Sannyasins are much more serious than you let on. It is not the case, that just the violent among the Share-a-home people were shipped out of Rajneeshpuram. Once it became clear that the previously homeless had outlived their political usefulness, essentially the entire lot of them were made homeless again, expelled in the dead of night, but not before stripping them of the winter coats we had given them. You didn’t mention the mass poisoning in the Dalles, the worst bioterror attack in the history of the country. These things I bring out here because the impact of this ugliness was an integral part of what made Rajneeshpuram so appropriately dissolutioning and therefore so transformative. 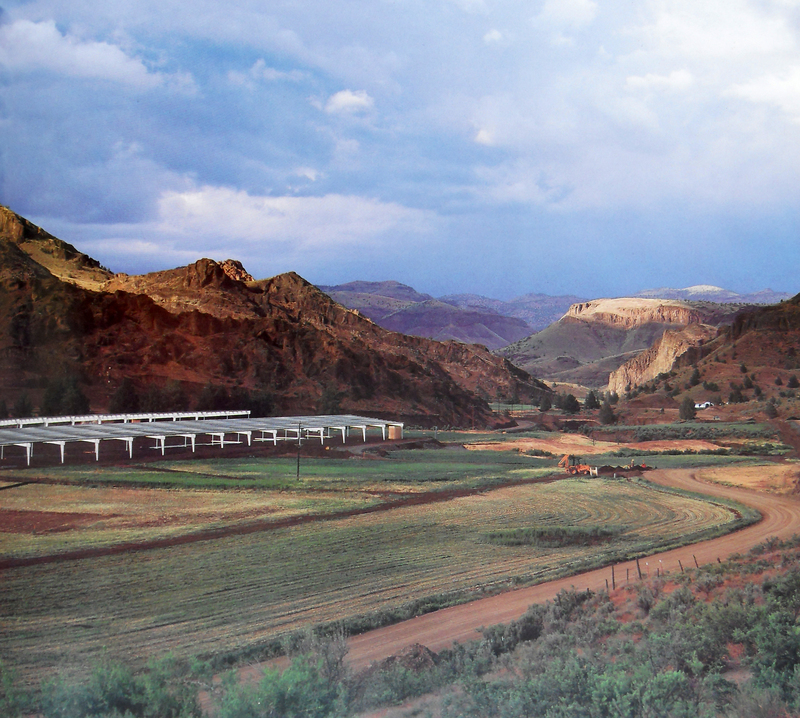 There was so much light and magnificence in Rajneeshpuram. And there was darkness and ugliness. Just as there is within all of us too. Nothing is to be excluded. There is of course much more that could have been said, but the question that I was asking and answering for myself was “Would we have succeeded in putting that “footprint in consciousness” if someone other than Sheela was in charge? Would the “powers that be” have allowed us to build our city of 10,000 meditators if we had treated our neighbors better? Cheers! ps. BTW I am wondering if you have seen the series yet? I can’t really tell from your comment. Beloved Purushottama, and my dear friend – A BIG YES to your question and your answer both. It is very difficult – impossible for me – to imagine anybody else in our world could have done the job that Sheela was called upon to do. I agree wholeheartedly and unreservedly. Yes I saw the documentary and enjoyed it very much. Pranam. A big, big hug and perhaps even a smacker on the cheek. love from here to you and the one standing next to you. the homeless, the guns, the Sheela, the… you? Question arises: what were you doing at the time of the crime? Classic Agatha Christie my dear sannyasin… as from your own account: you were there, in Rajneeshpuram! Aha! So perhaps you had no motive, no opportunity to commit any crime? Is that what you are saying? We don’t know that, we don’t know who you are! I must agree finally with Puro (what a long name…) we are all actors in this game. Meaning: you can’t be left out of the crime. So why should you and other holier-than-thou point the finger? I shall never know. I was never near the scene of the crime, but I enjoyed every moment of it!!! Why didn’t you, that’s the real question??? As your title says foot print of consciousness, 10000 Buddha’s influence many more people like me to take a step with consciousness. Much gratitude for your postings! So very interesting, Prem. I wish I had been more attentive at the time. I knew you were there, but had little understanding of the processes that occurred. I watched the first two episodes last night. To be continued. I so appreciate your comments. Very well written. Delighted to read your perspective. I still get a smile to see that Osho still creating big waves 28+ years after leaving the body! Grateful to all those who made and contributed to this docuseries as this may bring many more genuine seekers to Osho. What if the emperor simply had no clothes ( or lost them along the way ) and it is simply too painful or difficult to seriously entertain that thought ? Of course the emperor had no clothes. That is because the emperor had disappeared long before we met him. For some time I clung to the clothes but in meditation even the clothes disappeared. And where there were clothes there is only Unconditional Love. To be that Unconditional Love, I must love unconditionally. And it is that Unconditional Love that still binds many of his sannyasins today. love to you and to V. if she is still by your side. I feel a deeper understanding of the whole that gives space for compassion beyond judgement. Going beyond the agressor/victim paradigm. Forgiveness happens and nobody does it. Grace finally. Riveted, I watched the whole series, Prem. Yes we’re all players on the stage and all executed their roles well. I am reminded of the Gita in which Krishna speaks to Arjuna as he’s about to go into battle and assures him he needs to play his role on the battle field. Sheela played her role and who is to judge it. As she said, Everyone should be happy they were even in this opera, or something to that effect. Now we are again in challenging times with the US devolving into totalitarianism led by the Manchurian candidate. So much has happened in this short lifetime of ours, it’s dizzying. How do we respond now? Many answer we should stay in the Oneness. I have jumped into duality to fight, non violently, but with pen and presence. In awareness Oneness fights with Oneness. That is how transformation occurs. love. Dear , i send you the version of our blog in english. It´s about Wild Wild Country. Osho did whatever he wanted to do wake up us all. I simply love him. A mere thought of whatever happened with lovely sanyasins in the commune bring tears to me. Lots of Love to you all and My Osho.